ENG: When the snow finally evaporates into the atmosphere of the city, walking-out on the highest in my collection heels by Marni is comparable with that feeling when you first get up on roller skates or you start driving a dust covered bicycle 10 years on - the adrenaline in the blood exceeds all limits, but the confidence comes back by each meter left behind. RU: Когда снег окончательно испаряется в городской атмосфере, выход на самых высоких в моей коллекции каблуках Marni сравним с тем чувством, когда впервые встаешь на роликовые коньки или спустя десять лет садишься за руль покрытого былой пылью велосипеда – адреналин в крови зашкаливает, но с каждым оставленным позади метром возвращается уверенность. It is supported by a renewed paving stone in the center of the city. I'm sure the previous one will be missed by the ones who sent to her address hundreds of curses last year. But as the City Hall decided that beauty can do without the victims, then so let it be. But I still think it's all about tap dance, buzz of which disappeared along with the melt water of the central squares. Она подкрепляется обновленной в центре города брусчаткой. Уверена, прежней будет не хватать именно тем, кто еще год назад посылал в ее адрес сотни проклятий. Раз мэрия решила, что красота может обходиться без жертв, значит, так тому и быть. Но мне все-таки кажется, что все дело в чечётке, гул которой испарился вместе с талой водой центральных скверов. я в восторге от того, как вы преподнесли это пальто! You look amazing. So stylish! You look absolutely gorgeous! I am so glad the snow is finally melting and we can start to really embrace spring too! Love love love the coat!!! Stunning! I love the rich colors - So dramatic and eye-catching! Отличный образ! Красивое пальто и шикарные босоножки! Me encanta el look, muy bonito el abrigo!! wow ! beautiful look ! 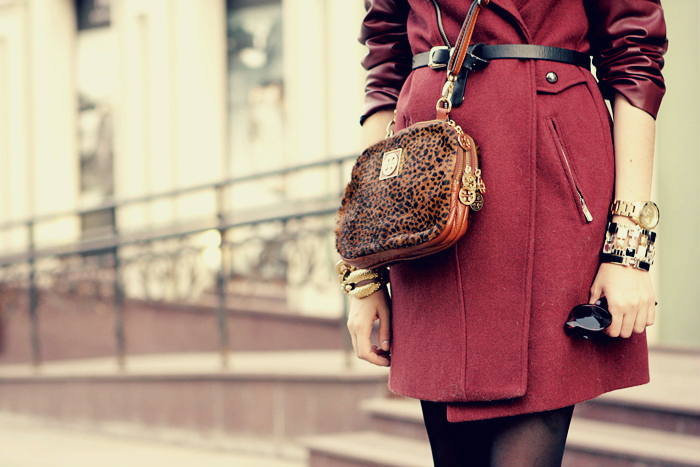 such a gorgeous coat <3 Stunning outfit!!! Amazing looks and amazing blog until you want to say "Красивая девушка"
hola!Me encantó el look....el tapado me pareció genial!! They look more impressive, love it!, Like your blog. You definitely have a great style! Oh, my goodness! You look like a Vogue model!! Great coat!!! I love your blog!!!! Thanks for your visit in my blog and comment. I follow you now. I love your blog and your style. I follow you since NOW. Thank you for your comment and visit, I have a new post, please tell me what you think about it. Thanks for taking your time and visiting my blog! You photos and outfits are amazing!Great blog! A great look darling!! You've got a great style! Great post. You look great! Lovely <3 where is french text :p ? ahah love outfit !